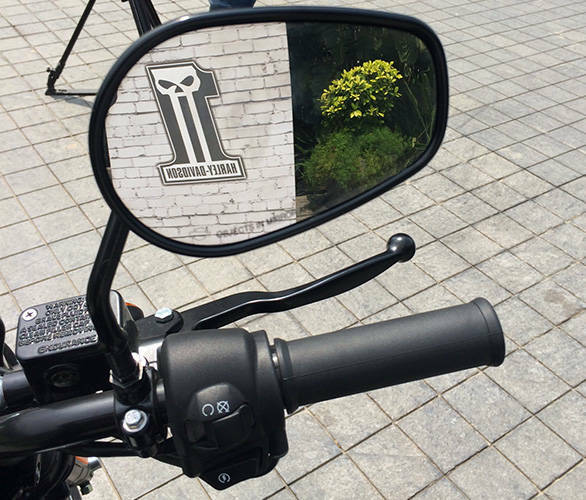 We have ridden the Harley-Davidson Street 750 in Delhi and the first ride answered great many questions that were playing on our minds - Is this an authentic Harley-Davidson, or is it worth our money? Here are seven of these questions answered. 1. Does it look like a Harley? It does but it is a small machine. This is not necessarily a problem because the target group is new riders and Indian average riders do not always have long inseams. On the other hand, standing by the roadside, it does look every bit a Harley, though it is skinnier in width and less tall in overall height than you expect initially. That said, ten minutes into the ride, you'll forget all these impressions and get on with riding what proves to be a fun machine to pilot. Oh yes. The 749cc Revolution X is a quick revving engine that slams into its redlines - 8,000rpm - with such enthusiasm that you cannot help but smile. 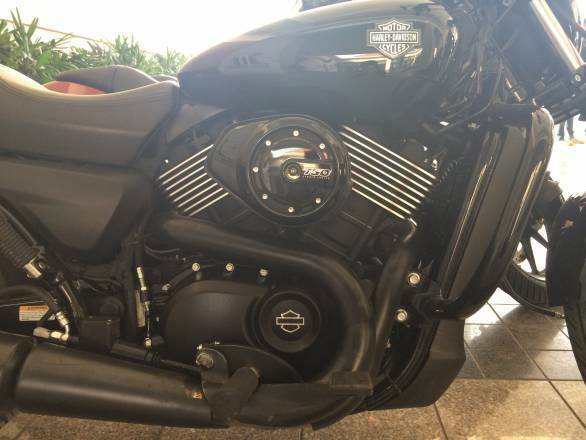 In that sense, the engine does not feel like a regular Harley V-twin. However, if you have any saddle time on the V-Rod, you will see the similarity in feel, power delivery and exhaust note very quickly. More importantly, the engine delivers its 60Nm of torque with great ease and it makes the engine extremely likeable and it makes rideability around town very easy - just leave it in top gear and forget about it. Fifth or sixth are both effortless for middle speed commuting. 3. How does it handle? Surprisingly well, actually. 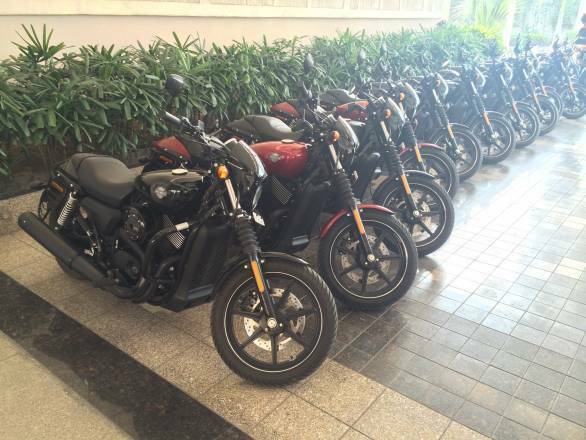 Harley chassis have always leaned towards stability and the Street 750 is one more in that same tradition. But because of its taller ground clearance, it brings greater cornering clearance as well. Scraping pegs is not as easy as you think and there is a lot of lean angle and speed you can bring into a corner before you run into clearance issues. More importantly, the feel is natural, the bike turns quickly enough to be involving and as odd as it might sound to many of you, the Street 750 is actually a lot of fun to corner hard. It doesn't ever feel out of character or like you're forcing the pace. I am surprised and I like the Street 750 a lot. The ride is a surprise. At first you think it is going to be a stiffly sprung thing. This is the impression you will get if you ride it for a short while only. As time passes you will realise that the suspension actually absorbs quite a bit more than you expect. 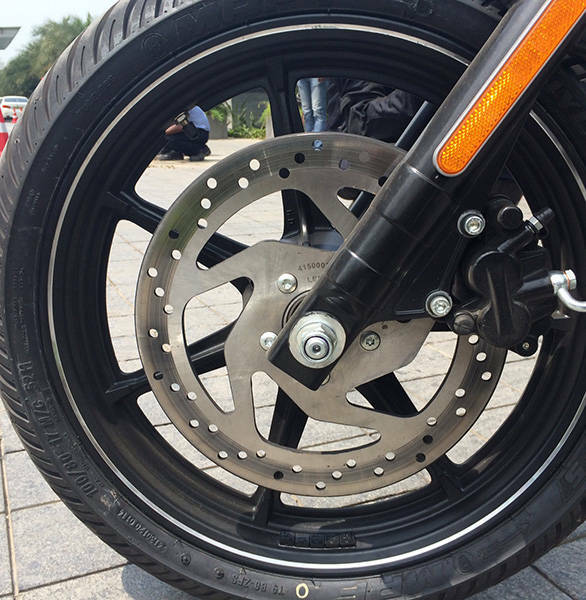 When you start hitting bumps, you will be surprised at how little gets through to the rider and again in the corners, there's a suppleness to the suspension that makes mid-corner bumps a non-issue. What I am saying is that the Street 750 may not be out and out plush, but it is extremely comfortable on most of the worst of our roads and you will find it extremely easy to live with no matter how bad our urban infrastructure gets. 5. What doesn't work, if anything? The bike is extremely sorted overall but it does have some niggles. The mirrors, for instance, don't show you as much of what is behind you as I would have liked. The headlight is always on but there is no dayflash switch which makes using the high-low beam toggle switch your only - but clumsier - option. The rear cylinder is pretty close to the left thigh when you stop so those of you who insist on riding in shorts, watch for the heat. And finally, while the brakes don't lack power, they aren't super sharp but more annoying is that you cannot actually feel the front contact patch under hard braking which means you have to resort to listening to the MRF tyres' squealing as a guide to how much traction you have. I wish there was more feel, or there was ABS, even if optional. 6. So is it value for money? Oh yes. 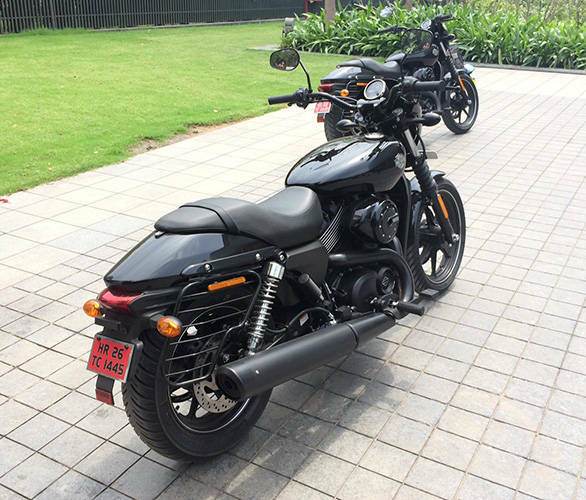 If you suspend the idea of this being a Harley for a moment, this is a fantastic motorcycle for the price (Rs 4.1 lakh, ex-Delhi) no matter who made it. On the other hand, as a Harley, it is the geniune article. 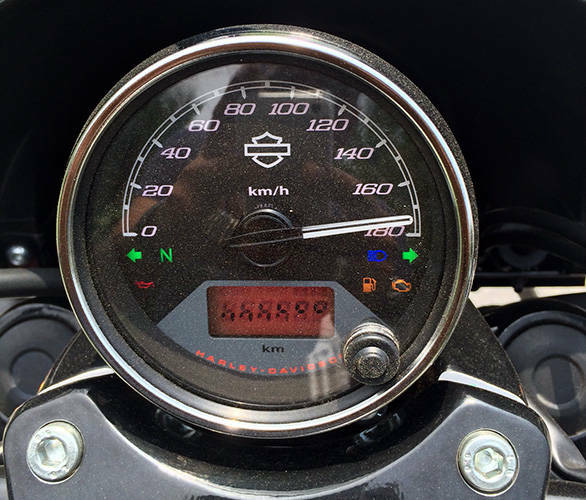 It sounds like a V-twin (but like the V-Rod, not a air-cooled Harley), it goes very quickly when you're in the mood and rumbles quietly when trundling. It rides well though it takes a bit of time to appreciate how well, and it handles better than you anticipate, including offering you generous clearance before decking the hard parts out. There's little not to like and most of the stuff you won't like can be fixed using the Harley catalogue of aftermarket accessories. 7. What accessories to spend money on? I'd start by buying better mirrors and then if you like a louder exhaust, go for the Screamin' Eagle kit. 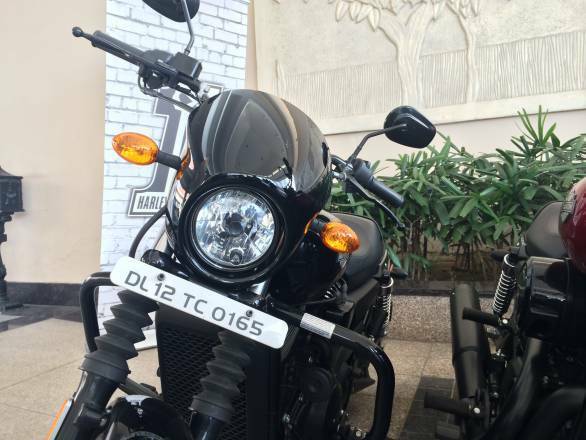 Outside of these two things, the Harley-Davidson Street 750 does not really need much more - the rest is the garnish that reflects your tastes.